Long-term care insurance is a little like cod liver oil. Everyone tells you it’s good for you but paying all those premiums can be hard to swallow. LTC insurance can protect your assets — and your peace of mind. One look at the cost of a nursing home — an average of about $61,320 annually — and it’s easy to see why the number of people buying LTC policies has increased dramatically. 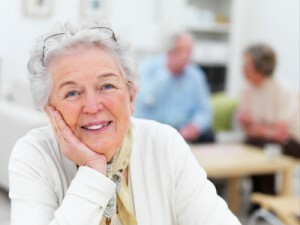 Policies cover extended care in nursing homes, assisted living facilities, adult day care centers, and even your home. A good policy also covers all types of care, not just skilled medical care but help with daily activities if you become chronically ill or disabled. But LTC insurance doesn’t come cheap. Here’s what you need to know before you buy. Whether a policy makes sense for you depends on several factors: your net worth, how much of it you’re willing to spend on healthcare, how much want to leave to heirs, your marital status, and your age. Consider your family history, too. If longevity or a chronic disease runs in your family, you may be more likely to require long-term care at some point. And because women live longer than men on average, they are more likely to need nursing home or other extended care. The idea is to buy a policy before you need one. The older you get, the greater the risk that you may develop health problems and become uninsurable. Even if you do get a policy, premiums will be steep. That’s why most financial planners suggest clients buy a policy by their mid-50s or early 60s. In general, the richer you are the less you need a policy, and the poorer you are the more likely it is that you’ll qualify for Medicaid. Between those poles, things get murky. … but YOUR HEALTH buys it! Long-term care insurance premiums are based on your age and the condition of your health when you purchase a policy. Assume a person is in good health. Consider that the average nursing home stay is 2½ to 3 years. It may sound obvious, but make sure you buy a policy you can afford. Remember you are going to pay those premiums for years to come. If they’re too expensive, you may let your policy lapse and will have wasted thousands of dollars. A good rule of thumb: make sure a premium does not exceed 5 percent of your current income.